Legendary American Admiral Jack Mattis, thrown into an unfamiliar universe, must now confront the impossible and do the unthinkable in a place very different from his home. New alliances must be forged in the face of powerful new enemies. Strange technologies may hold the key to victory, or hasten Earth’s demise in all timelines. Change is coming and the howling winds of war at his back will drive Admiral Mattis onward toward a final confrontation. One thing is clear: The future is mutable, changeable, malleable. Or is it? Are Mattis’s and Earth’s destinies set in stone? Dark secrets will be revealed, terrifying enemies unleashed, and through it all, the true face of Spectre looms ever closer. This was one of the best in the series so far. I really cannot wait for the next installment. Hopefully it comes quick! This book in the series keeps the action going. 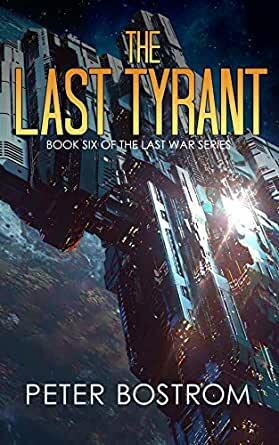 I would highly recommend this book to all sci-fi readers to get. Terrific installment in this series. Great humor (without getting silly), excellent continuity of story line, compelling. Some minor technical details, but otherwise a terrific read. I really like the pace of this series. It's complex enough to keep you interested and wanting to know what happens next but without spending too much time in the details that you want to skip to the action.